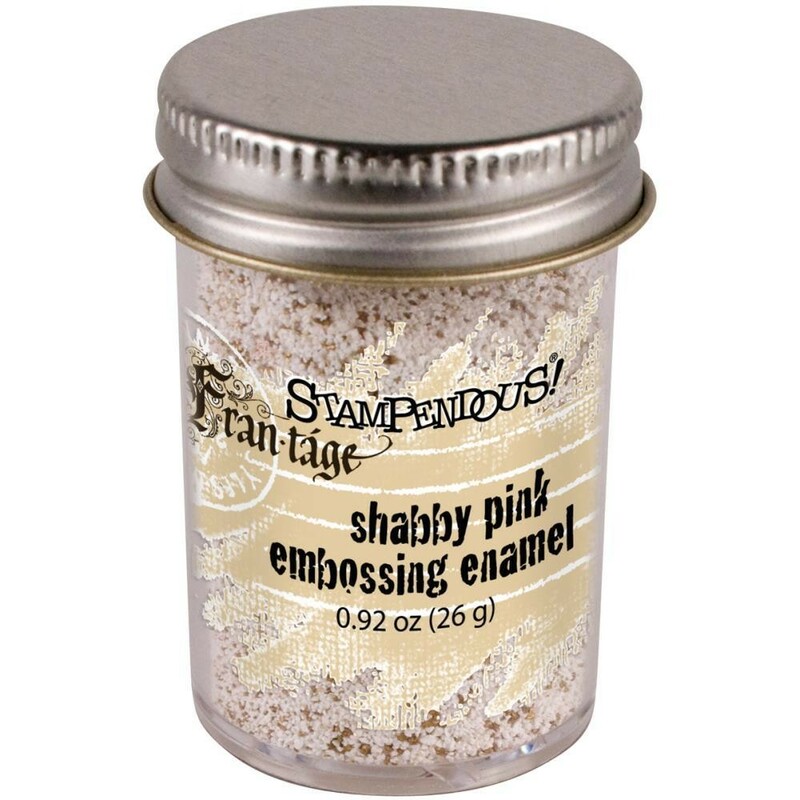 STAMPENDOUS-Shabby Embossing Enamel: Pink. This chunky, vintage- inspired embossing powder will provide a thick layer of enamel to your artwork. You can impress an inked stamp into it like our Deep Impression Powder. Sprinkle it on your artwork and heat from beneath for a shabby chic/vintage look. This package contains .92oz of embossing enamel.